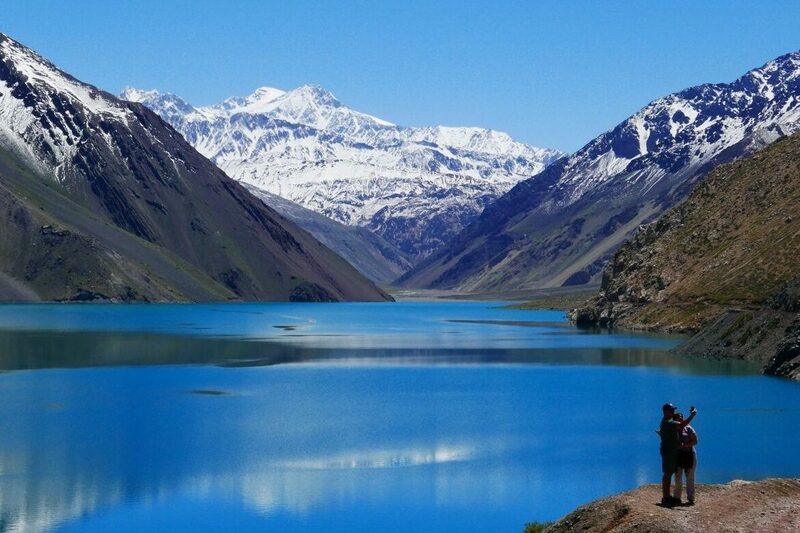 During your stay in Santiago, you will visit the heritage sector and some of the historic centres, explore a renowned organic vineyard in the Casablanca Valley, famous for producing the country’s best white wines, tour the city of Valparaiso – declared a World Heritage Site – and see the Embalse del Yeso right in the heart of the Andes. 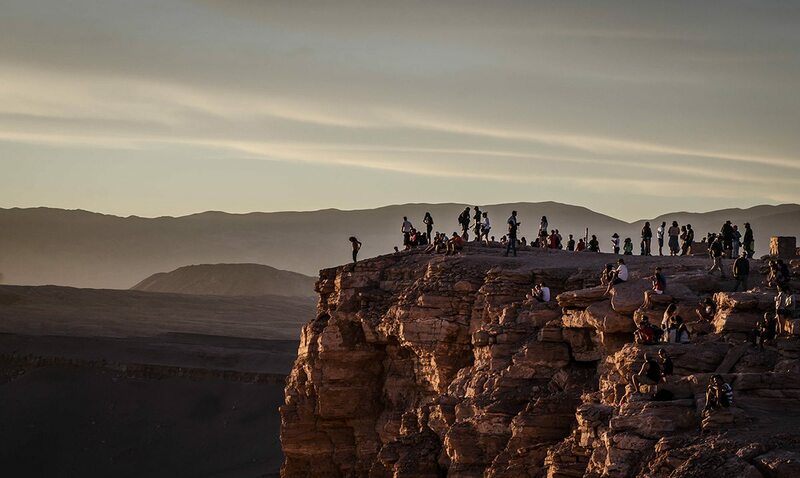 Once you reach San Pedro de Atacama, you’ll continue your adventure, enjoying the Atacama culture and local food and produce, taking in the views, and mingling with the locals. During this programme, you’ll visit some of the incredible places and cities in the Central and Northern zones of the country. 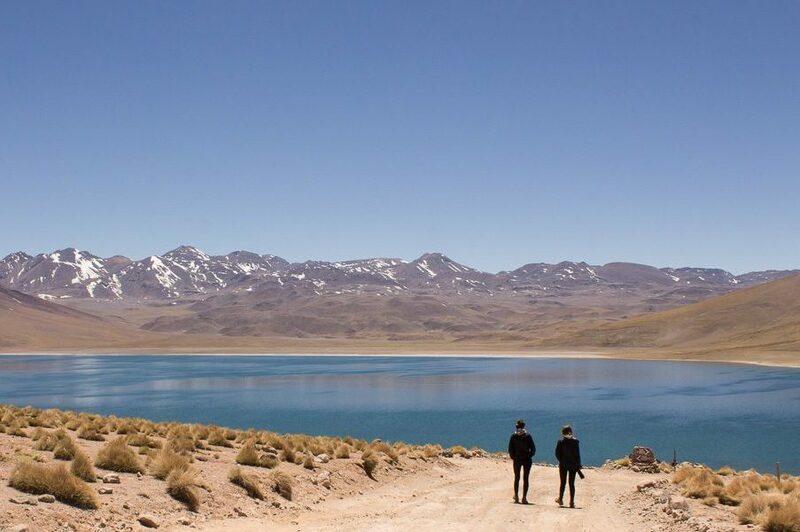 You will have the chance to explore Chile’s capital and exciting neighboring areas, such as the Casablanca Valley, the Cajón del Maipo, and the city of Valparaiso. 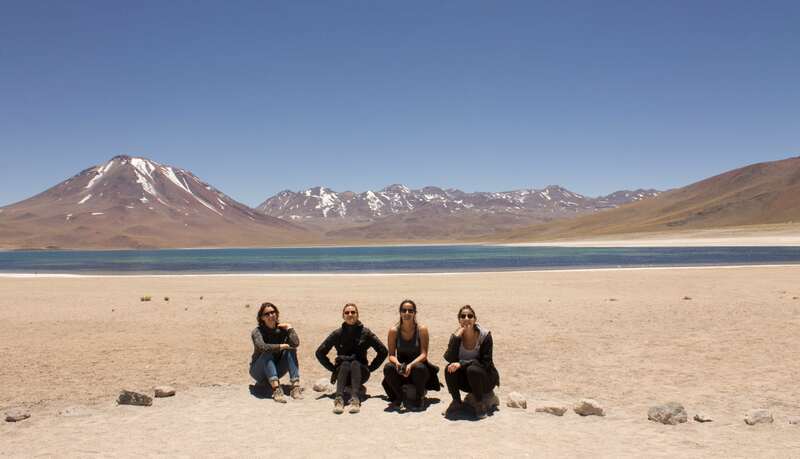 Then, you’ll head north to enjoy one of the wonders of the world’s driest desert in San Pedro de Atacama. 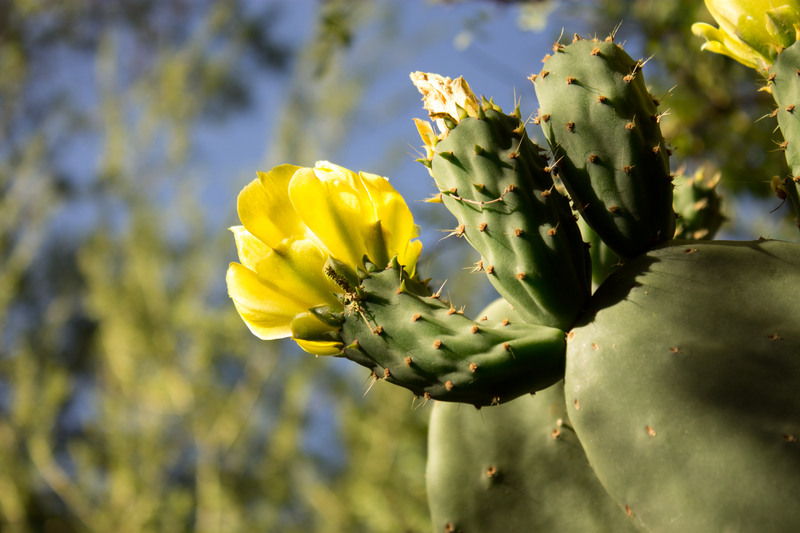 You will see natural attractions such as the high plateau lagoons, geysers, salt flats, and indigenous communities, and observe native flora and fauna. 7 San Pedro Atacama and Santiago Airport Santiago arrival . Your first day will serve to welcome you to the capital. A van will be waiting for you at the airport and will take you to your hotel, where you’ll check in. 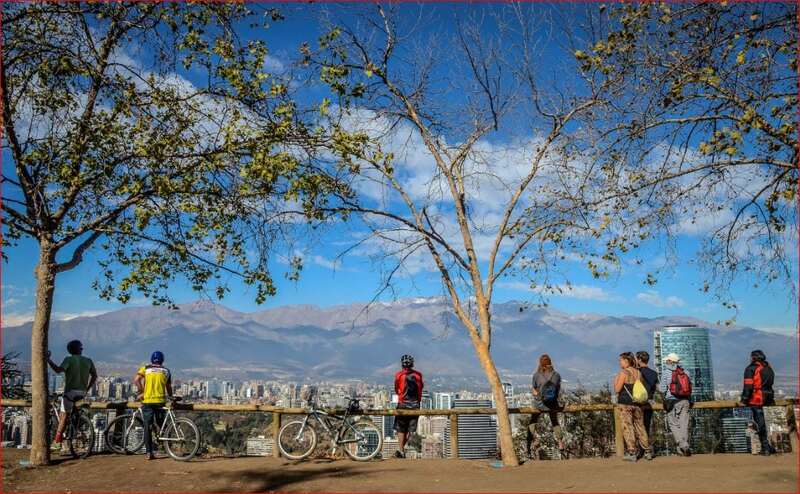 Once you’re settled in, you will have some time for lunch, and at 2 pm the City Tour around Santiago will begin. 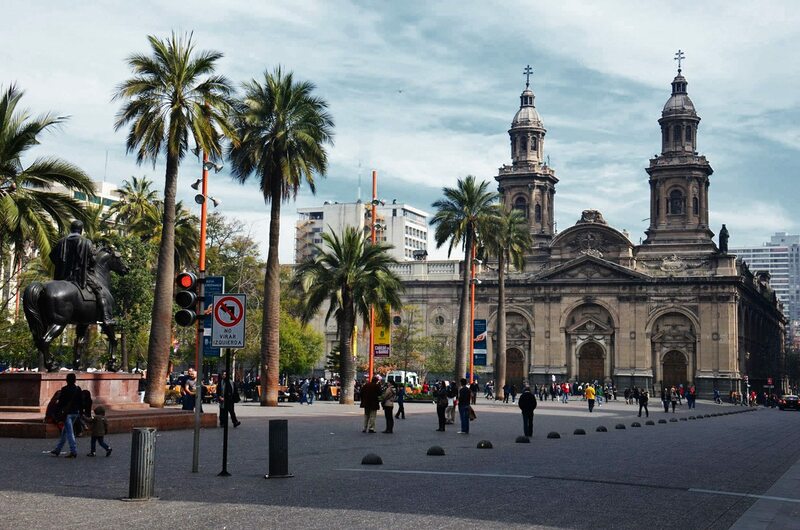 On it, you’ll visit all the attractions: the seat of government, the multicultural Plaza de Armas, the picturesque Mercado Central and La Vega, as well as the San Cristóbal hill and the historic centers such as Lastarria, Bellas Artes, and Central Santiago. 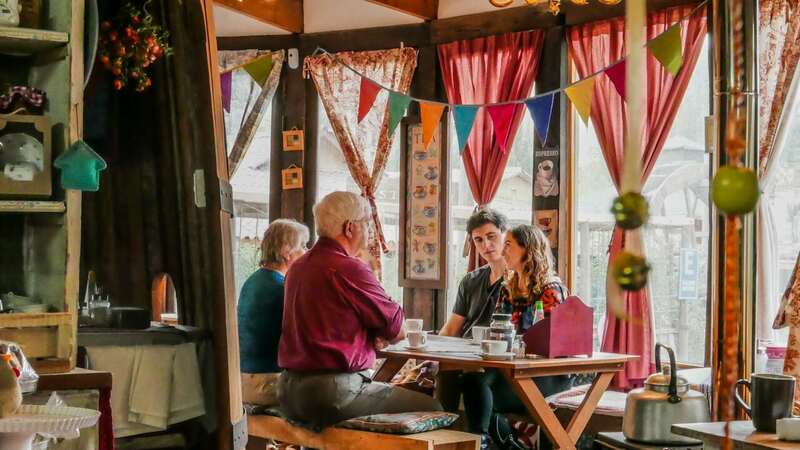 After that, you’ll have time to eat (included) at one of the traditional restaurants in the bohemian area of Bellavista. Finally, you’ll be taken back to your accommodation. On day 2, you will be picked up from your hotel between 9 and 9:30 am to begin your journey towards the city of Valparaiso. 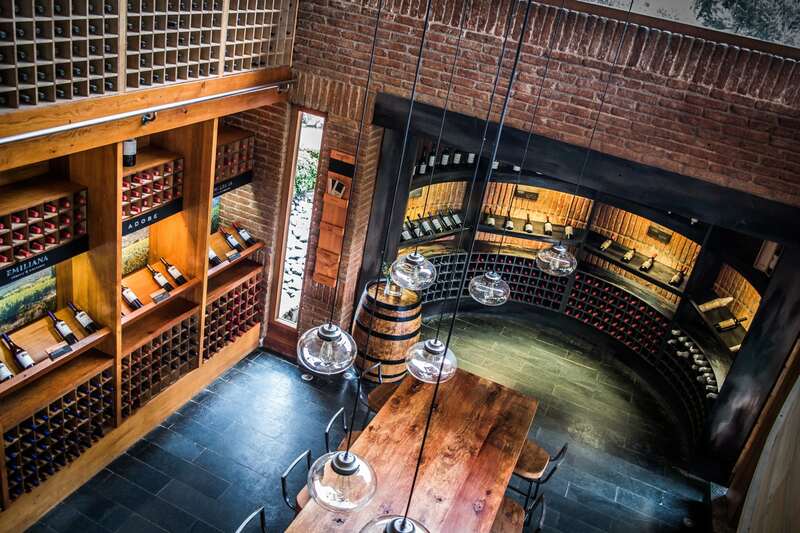 On the way, you’ll stop off at the Casablanca Valley for a wine tasting tour at the organic vineyard Emiliana. 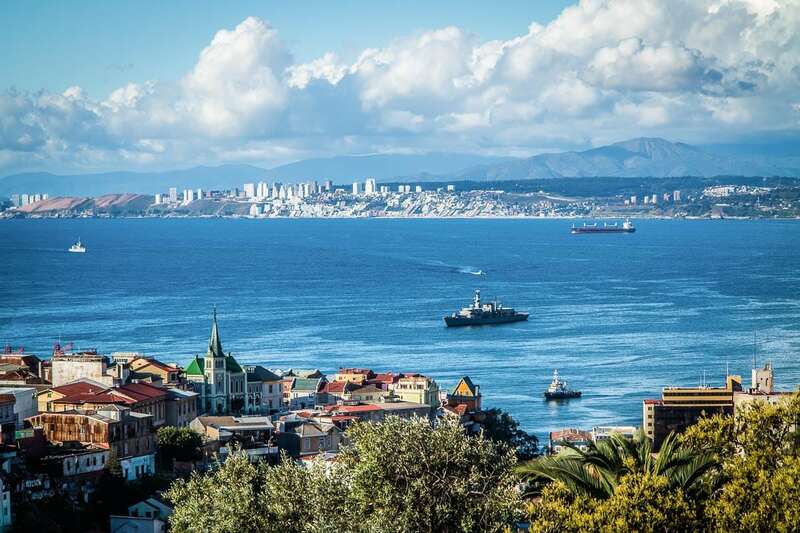 Then, you’ll continue on towards Valparaiso, famous for its port, colorful architecture, and amazing street art, visible from the city’s hills. 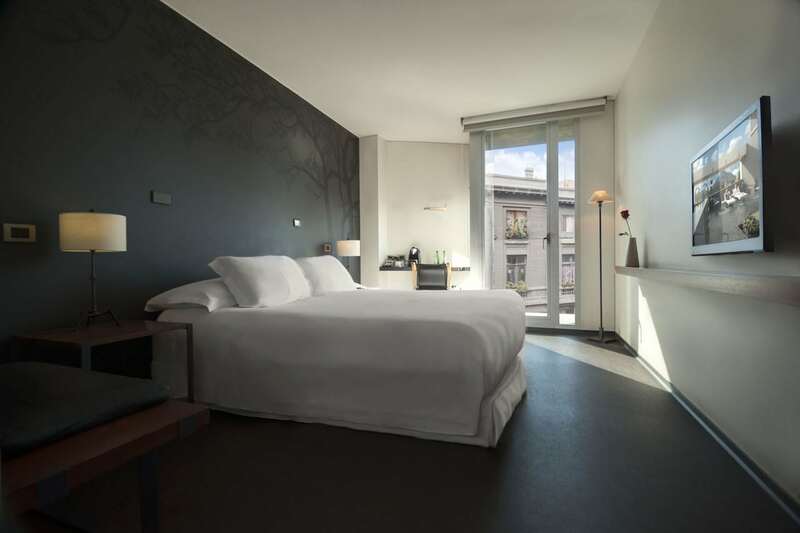 Once you are there, you will explore the World Heritage Site on foot, visiting the port, the Plaza Sotomayor y Aníbal Pinto, and the hills of Alegre and Concepción. 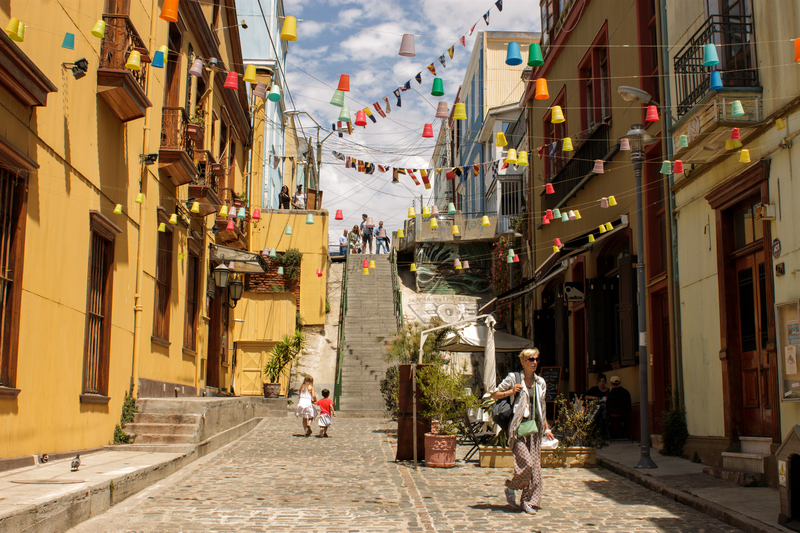 You will also experience local public transport such as the trolebús and elevators; both national monuments. 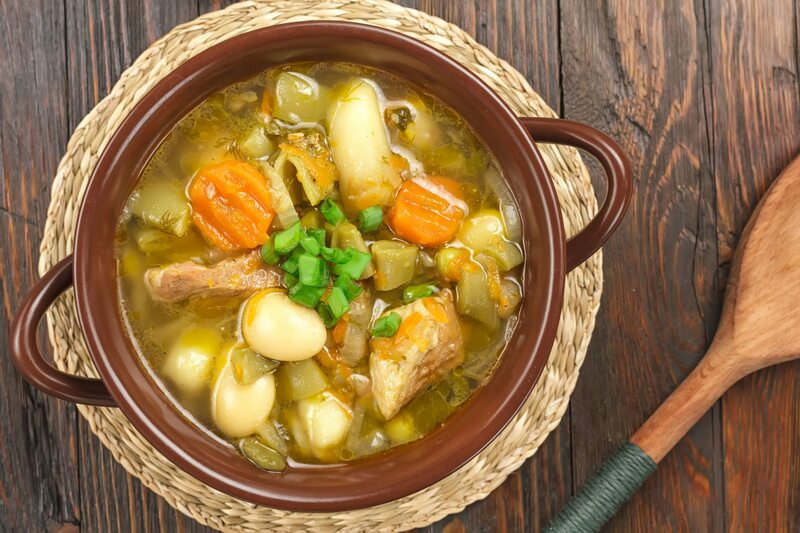 After visiting various streets, viewpoints and churches, you’ll have time to enjoy lunch at a traditional restaurant (not included) on the Artillería or Florida hills. Finally, at around 4 pm, you’ll be taken back to Santiago. 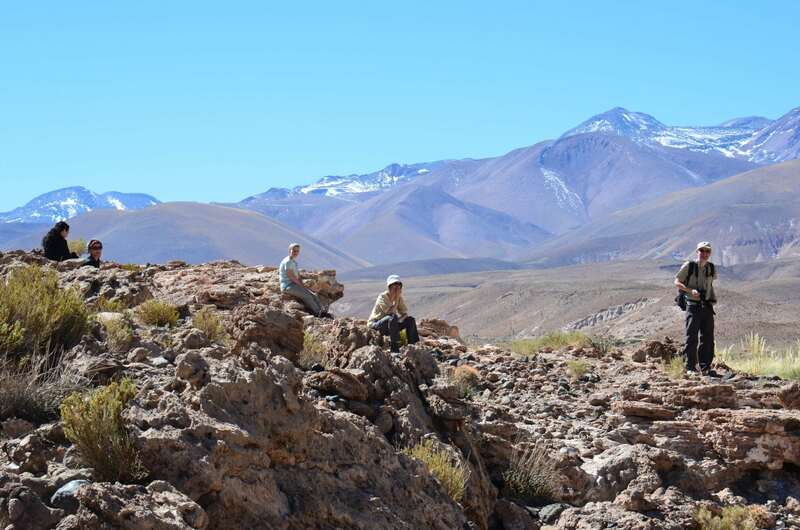 After having breakfast at your hotel, at 7:30 am you’ll begin your journey towards the Maipo Valley, a canyon located in the Andes, 45 minutes’ drive from the city center. 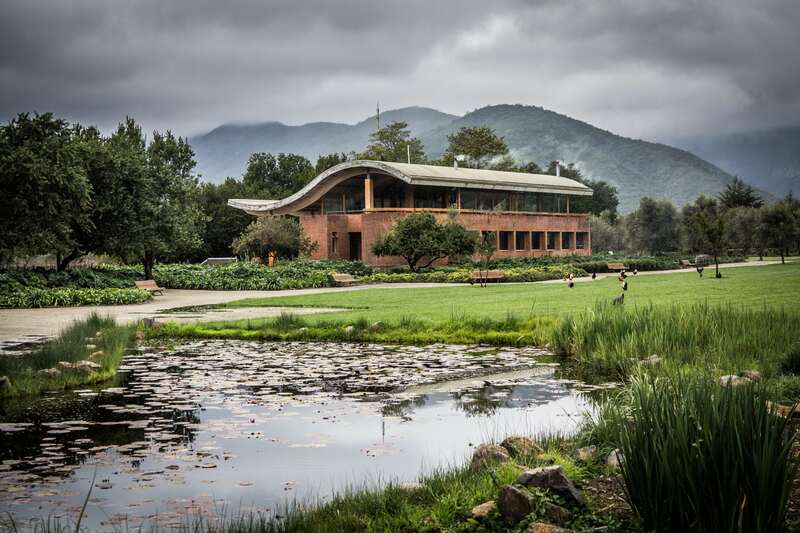 There, you’ll be able to observe and learn about millennia-old geomorphology and the history of the valley. 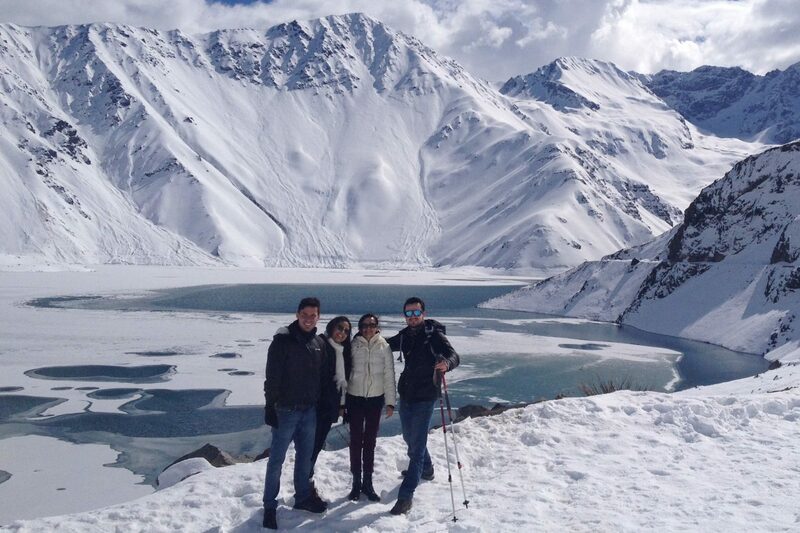 You’ll visit the Embalse del Yeso, famous for its turquoise waters, and go on a short hike there so that you can admire the views and take photos. Then, you’ll have time to enjoy a delicious picnic of local produce on the shores of the reservoir – or a nearby site, depending on the weather. 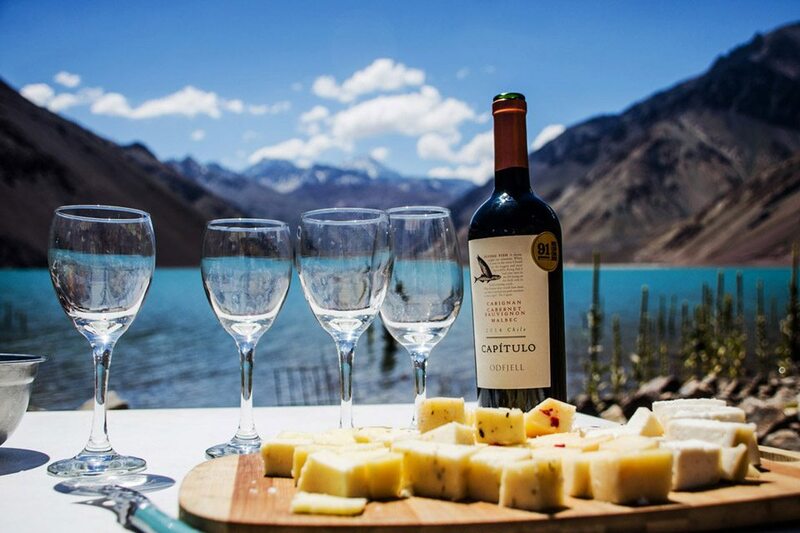 Once you’ve finished your picnic, you will begin your return journey, making one last stop off to sample the traditional local empanadas in the Maipo Valley. 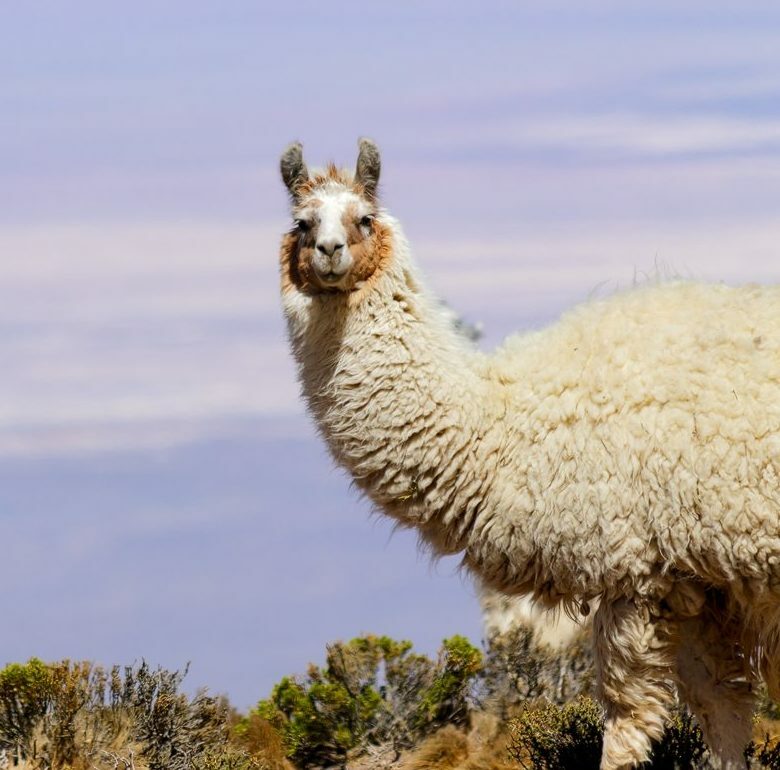 On day 4, a van will be waiting for you at your hotel ready to head to Santiago airport, where you’ll catch your flight to the city of Calama and begin your adventure in the Atacama Desert. 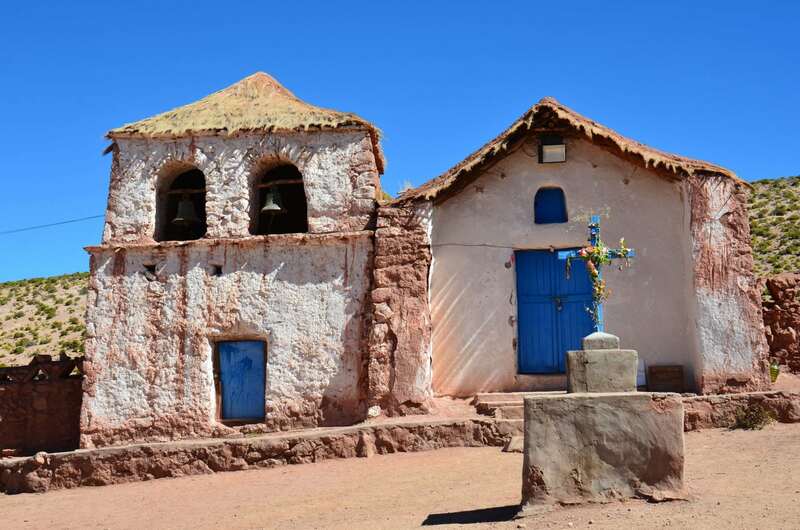 Once you’re in the northern part of the country, you’ll be picked up from the airport by a driver who will take you to the town of San Pedro de Atacama. 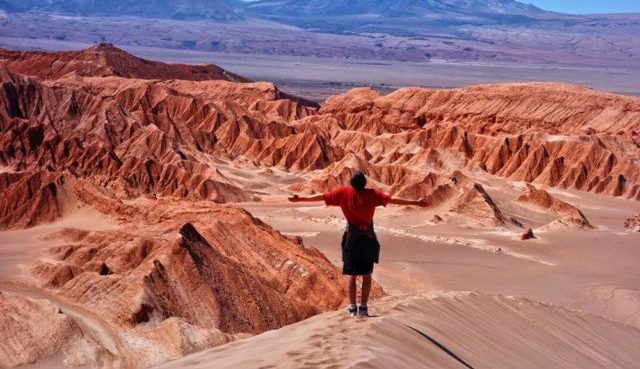 During the hour-long crossing of Atacama Desert, you will see wind-sculpted salt structures, hills of changing light/color depending on the time of day, the rising Andes and Domeyko mountain ranges and crisp blue skies. Upon arrival to San Pedro, your driver will leave you at the hotel and the following check-in, you’ll have free time to explore the cultural beauty of this special place and in the evening, enjoy the unique and spectacular night sky. 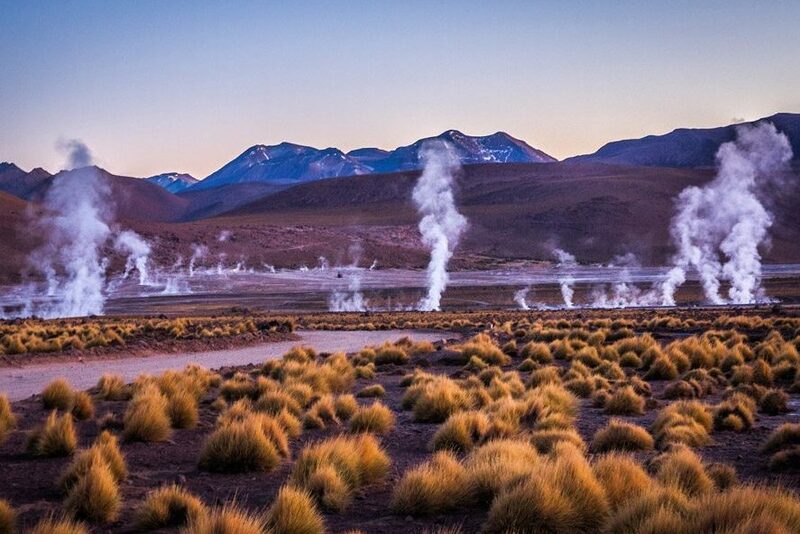 This day we will visit the famous Tatio Geysers, considered the highest in the world at 4,320m/14,173ft. Please Note: Pick-up at the hotel will be at 4:30 am as the early morning hours afford the best opportunity to view the geysers in full glory and to best appreciate the unique early morning desert light. Breakfast will be provided on-site to take full advantage of this natural wonder. Optionally, you can take a relaxing bath in a rustic pool of warm water in this completely natural environment. 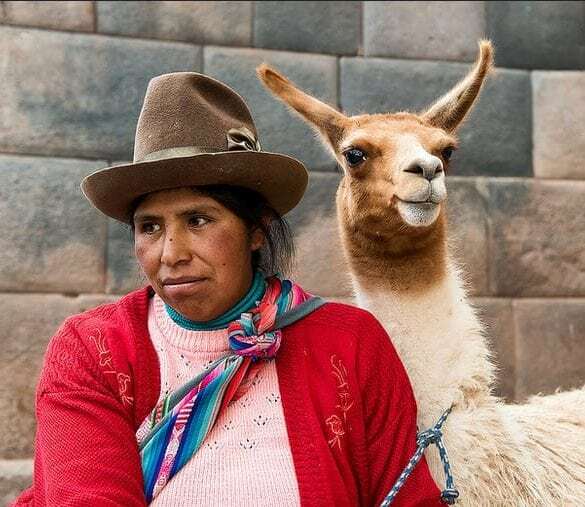 On our return to San Pedro, we will stop in the village of Machuca, where people have bred llamas and collect Llareta (flowering plant, family Apiaceae) for generations. After lunch, we will travel 13km East to the Moon Valley, a natural sanctuary whose landscape resembles the Moon with a variety of craters and wind-sculptured rock formations. This Valley is of haunting beauty which will make you wonder if you are still on planet Earth. After witnessing one of the most beautiful sunsets on the planet with a tasting cheese & wine, we return to the hotel. 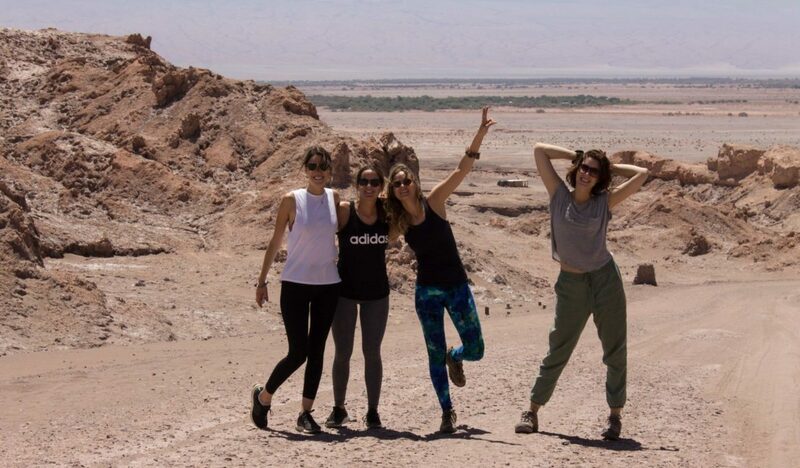 Last day in the Atacama plateau. 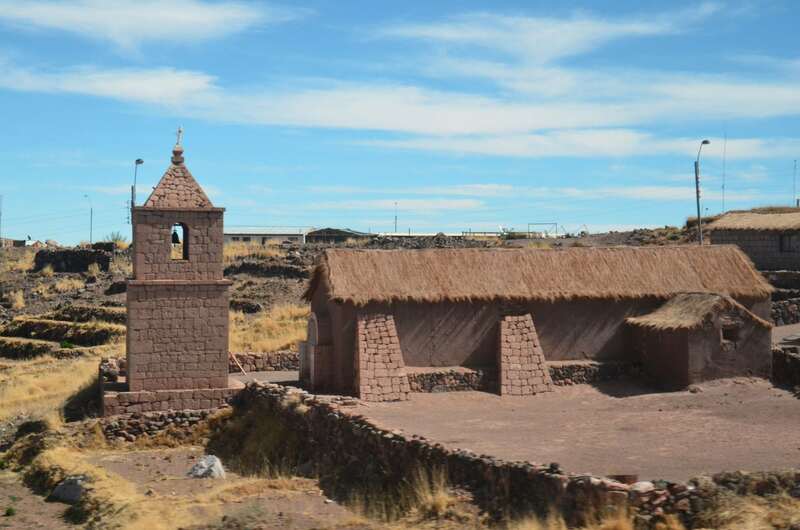 Depending on the flight departure times, you will have time to explore San Pedro including Le Paige Archeological Museum, local church, Inca House (oldest structure in San Pedro), sandboarding or trekking on the surrounding dunes. Four kilometers away is the Pukara fortress which dates from the twelfth century. 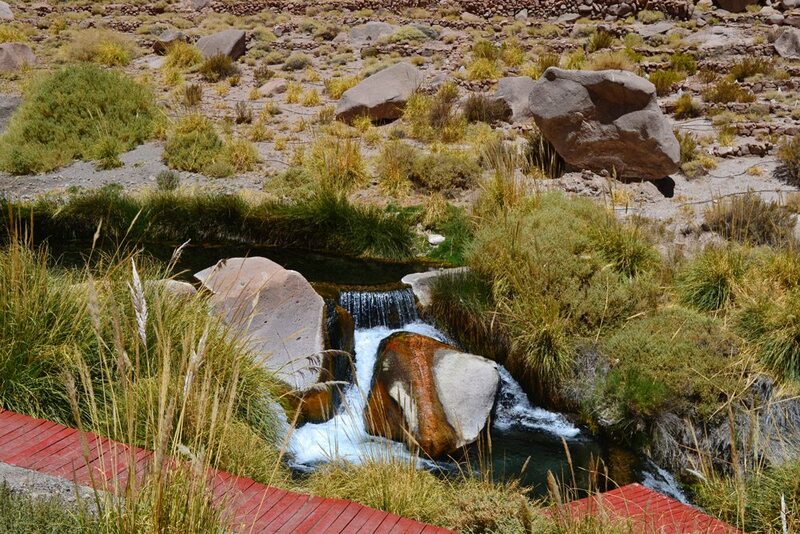 These are only some of the amazing attractions of San Pedro de Atacama. 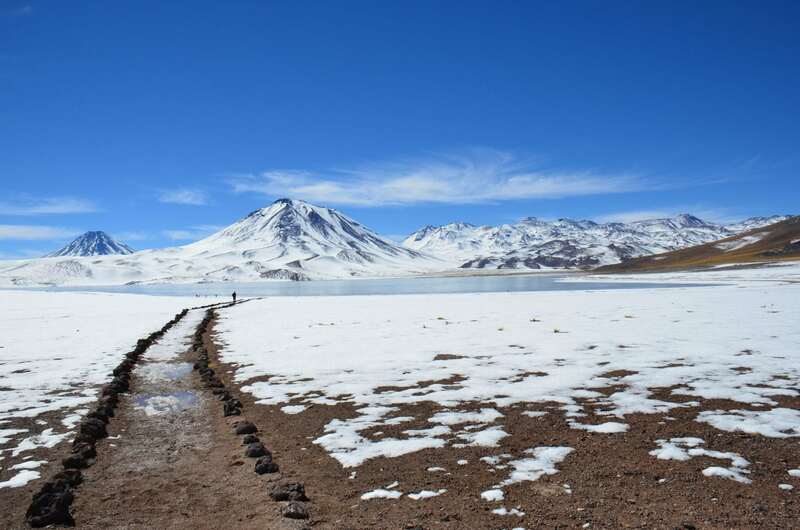 At a pre-arranged hour, your driver will pick you up at the hotel and take you to the Calama Airport for the return flight to Santiago.